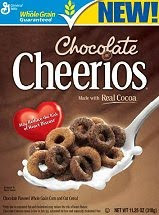 Here is a really HOT, high value printable coupon for Chocolate Cheerios! You can save $1.25/1 box!! Print yours through IE or Firefox. Don’t forget to print it more than once! « Join Pampers: 2 Codes + Win a Free Year’s Supply of Diapers!